People often ask what level of skill they need to join our jewellery courses. Our answer of course is that we aim to respond to each student on an individual basis; because our class sizes are small we can provide dedicated attention to assisting you to produce something you are proud of, both for new-comers who are are working with metal for the first time, and for experienced pros who want more challenges! Our last jewellery workshop perfectly exemplifies this approach. 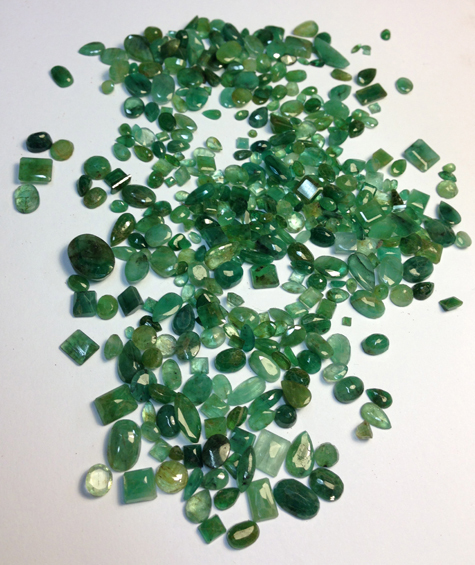 Here are the highlights from our latest weekend jewellery course in ring-making…..
Helen had never made any jewellery before, so this introduction to the processes of making was quite enlightening for her. 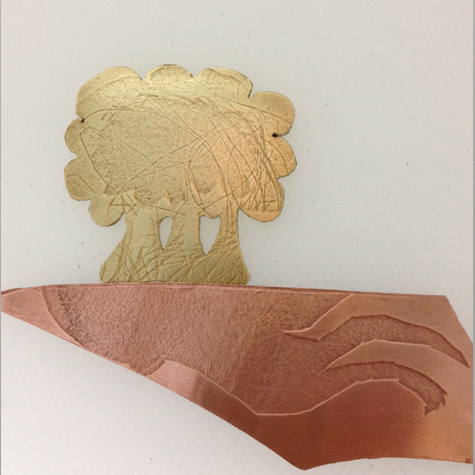 In particular Helen enjoyed the texturing processes, and she produced her final ring (or 2) in sliver, having experimented with size and surface treatment on copper beforehand. A little oxidation really helps to bring out those gorgeous leaf pattern textures here. A perfect fit! Chris recalled some of his skills back from schooldays in the metalwork class – all in the hazy distant past, though those early skills proved to have given sound foundations! I particularly enjoyed these 2 early exploratory test pieces Chris produced on the first morning – a nice display of his his design skills and his piercing techniques. 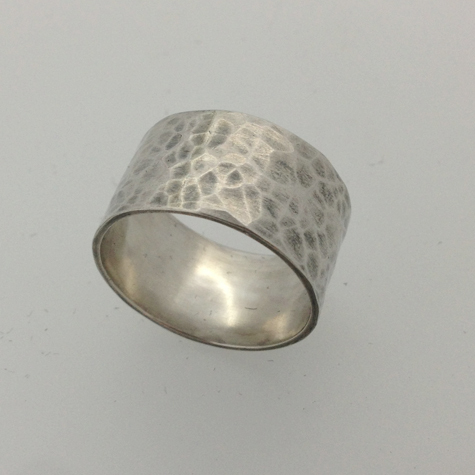 For his ring Chris chose to make a ring with a hammered texture; this ring required a soldered seam, and Chris prepared both edges of the strip of metal perfectly so that the solder could flow to make a nice clean join. Chris cleverly disguised this seam with additional, careful hammering using a ball pein hammer. The final look was achieved with a nice flash of oxide, rubbed back to reveal highlights on that gorgeous texture. Here’s an inspirational piece of work by Abigail! 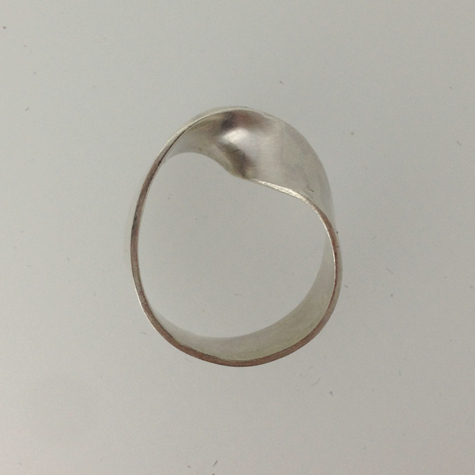 Earlier experiments with metal and then card gave her numerous ideas for her final ring in silver. Having some jewellery making skills already, we felt confident that Abigail could bring this design off, and so on Sunday morning she set about identifying how twisting a strip of metal would change the length required to make the ring fit her finger. No simple matter! Translating her idea from paper to copper was the first step in determining this and other fine details – like how to keep the twist in the metal in a nice, tight form at the top of the ring, and once soldered, how to make the ring round without crushing this fine form. The ring emerged in full glory as a result of diligent measurement and artful prediction – beautiful! Tagged Classes, Courses, SALS, Southwark, Techniques, weekend. Bookmark the permalink.